Sylvia is in her fifties and lives with her Mum, Liz and Dad, James. 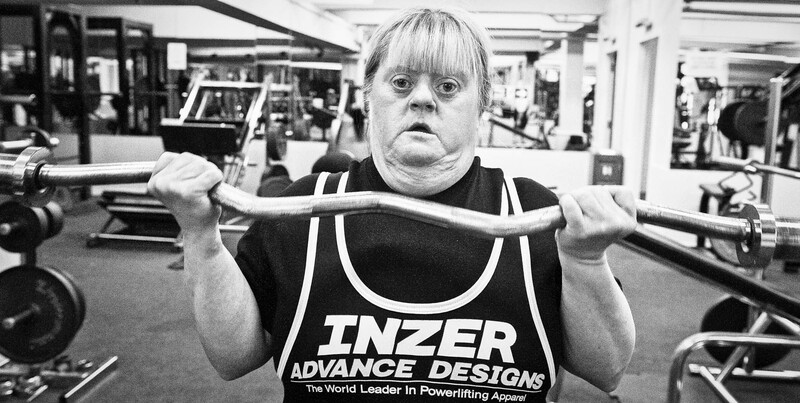 She is warm, funny and absolutely committed to sport having won medals for powerlifting and skiing. As I talk to her Mum and Dad it’s clear that, despite encountering stares and comments throughout her life Sylvia and her family have adopted a ‘let’s just get on with it’ approach. Liz says, ‘Sylvia is my pal we go everywhere together’ and that includes travelling the globe while she competes at the highest level.